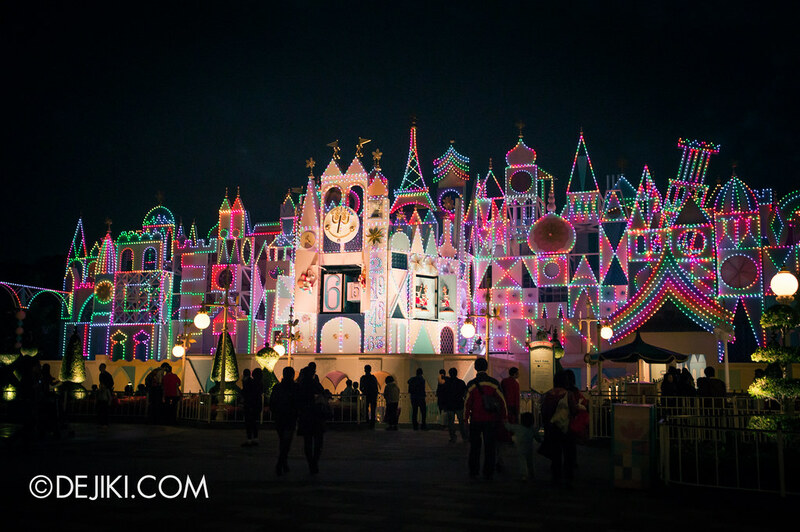 Our journey around Hong Kong Disneyland continues. Welcome to Fantasyland. 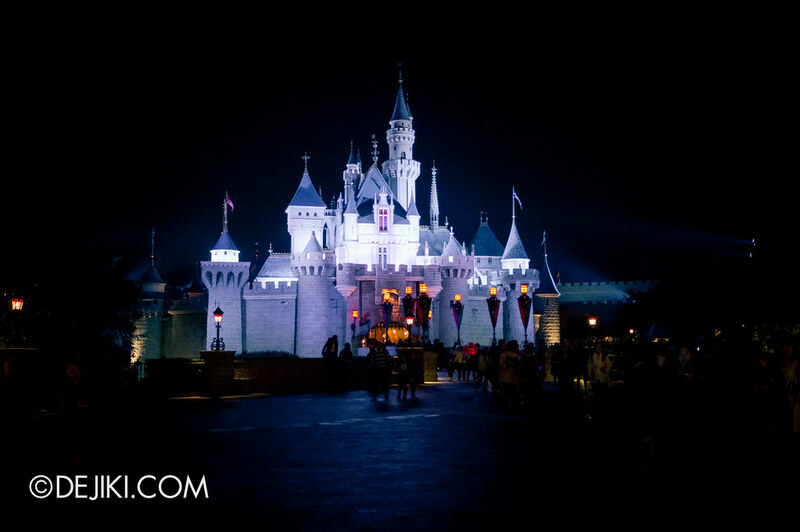 Sleeping Beauty Castle marks the dramatic gateway to this land of enchanted tales. 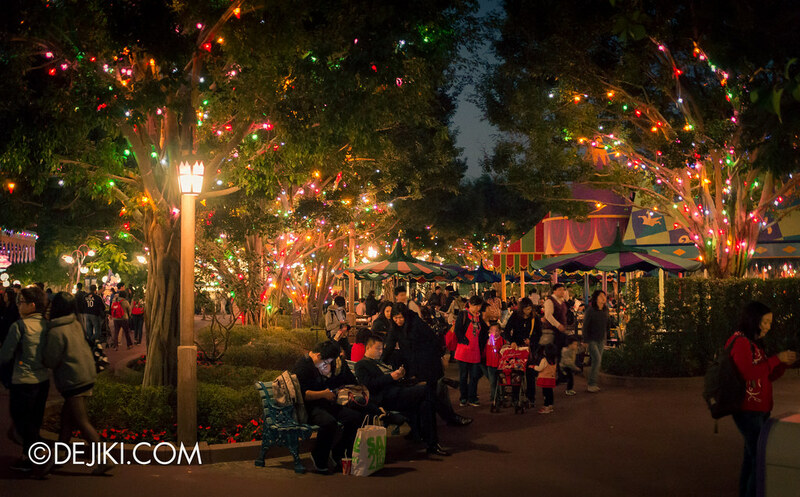 In the castle courtyard is a large open area – a cross between a quaint European village and medieval fair – where many gentle themed rides delight park guests with Disney’s classic stories. 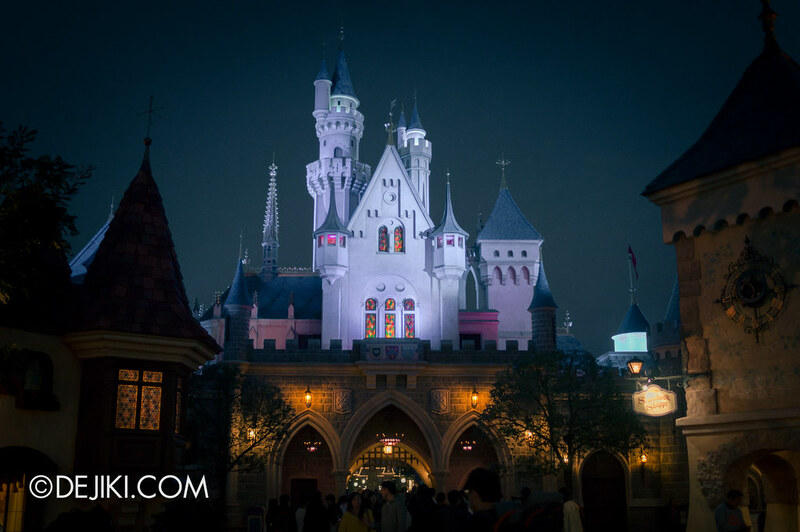 Fantasyland exists in all Magic Kingdom-style Disney parks around the world. 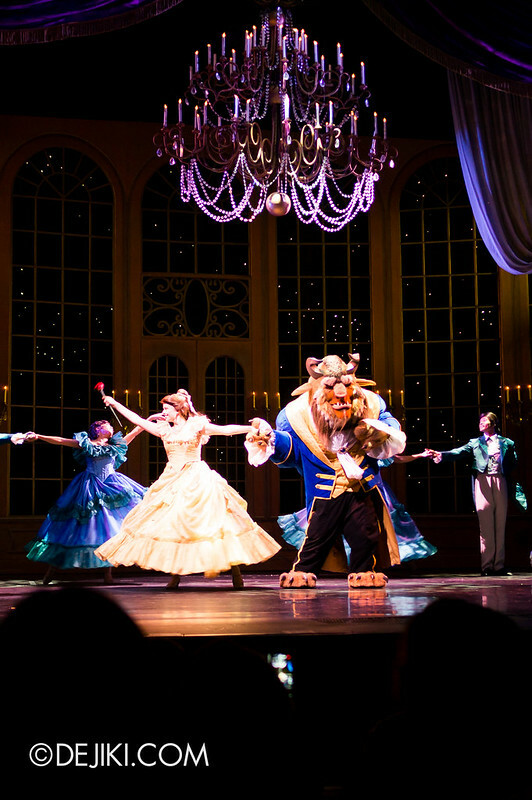 It is the core of Disney experience after all – motifs of fantasy, dreams, wishes and “once upon a time”. This area in Hong Kong is the smallest in the world, but there is ample room for future expansion. 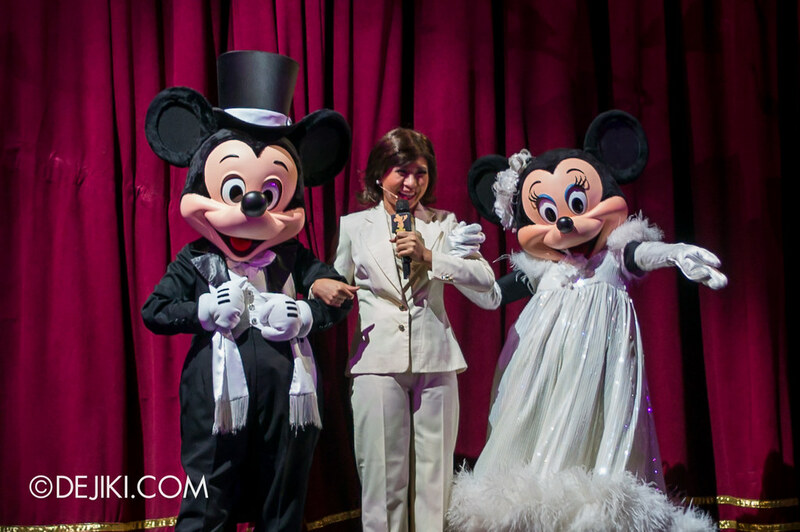 If you’re a fan of Disney’s animated classics (or just enjoy musical theatre), then the Golden Mickeys is a must-see attraction for you. 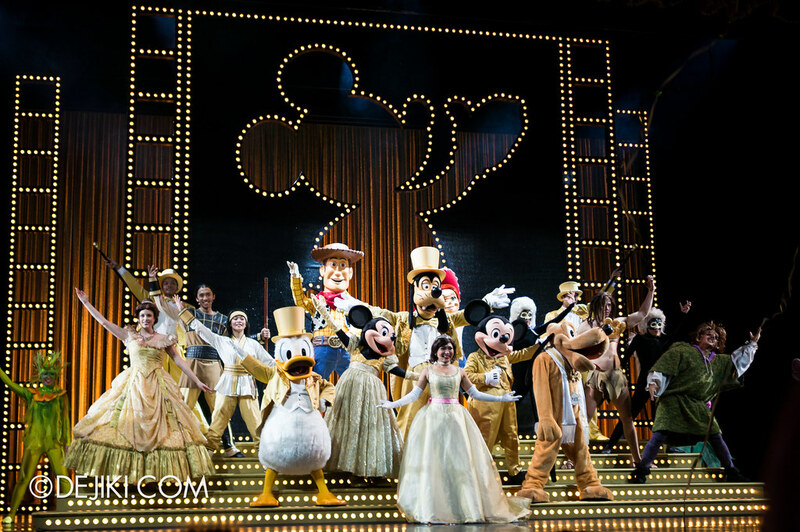 This is a live stage performance of an “awards show”, where Disney characters win the Golden Mickey (a la Academy Award) and just like any Disney animated feature, there’s song and dance. The press has gone wild! It’s the biggest list of luminaries ever compiled! The cast is all ready and eager to please. The VIPs are A-OK! The crowd’s set to go. It’s a red carpet countdown, for our nominees. We’re here to celebrate the movies, where the excitement never ends. There are heroes to honour! 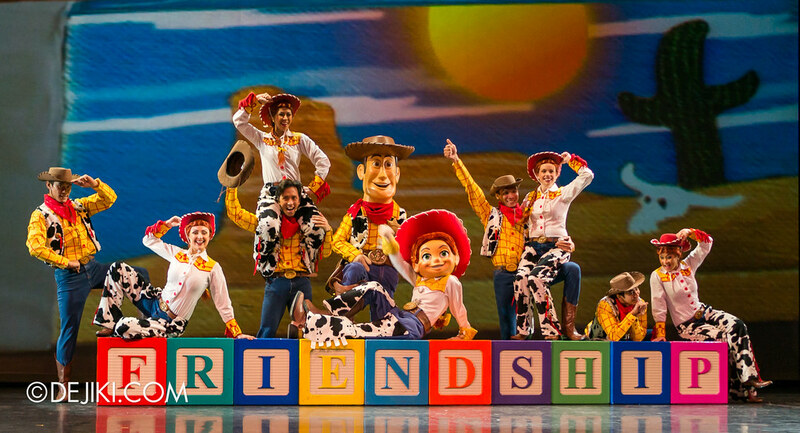 And all of your favourite friends! The awards have been polished. The microphones checked. The pushy paparazzi finally taught some respect. We could try to stay humble, but that’s hardly a breeze. 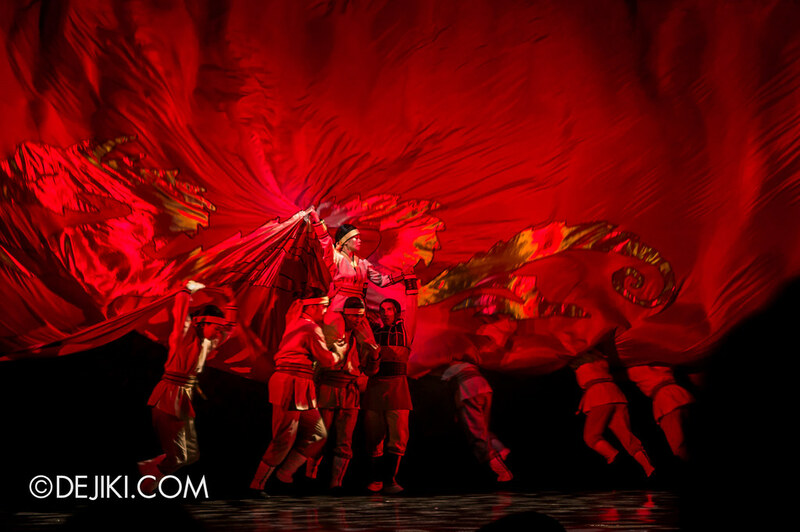 When our show’s a revelation, a downright inspiration. It’s the golden- it’s the golden! We gave The Many Adventures of Winnie The Pooh a miss this year, because the line was incredibly long (even for FastPass!) in the evening. 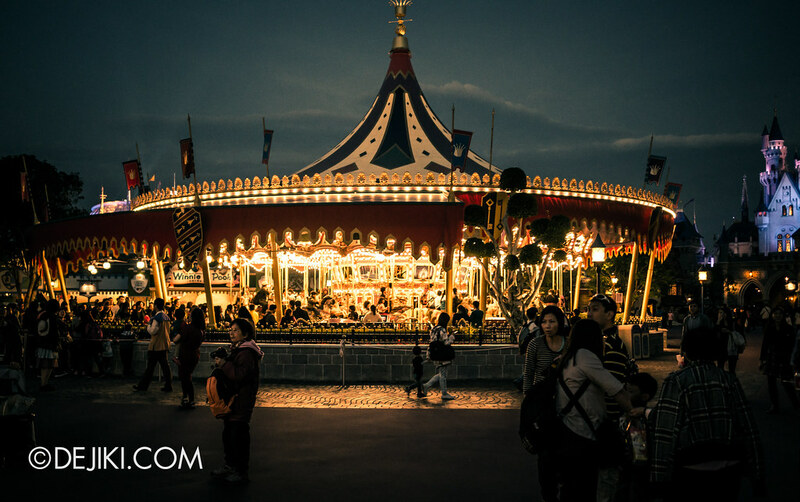 For this trip we didn’t really spend a lot of time at Fantasyland – we only went on two attractions. 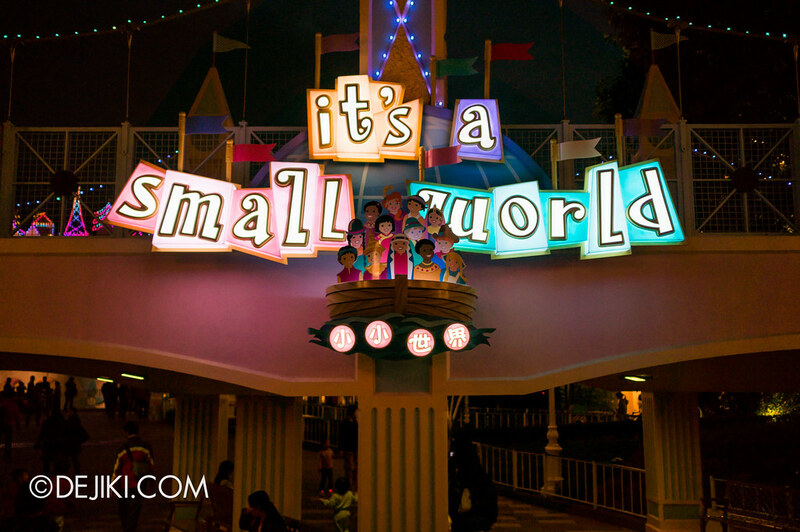 If there’s one ride here that has high guest capacity and fast loading times, it will have to be it’s a small world. 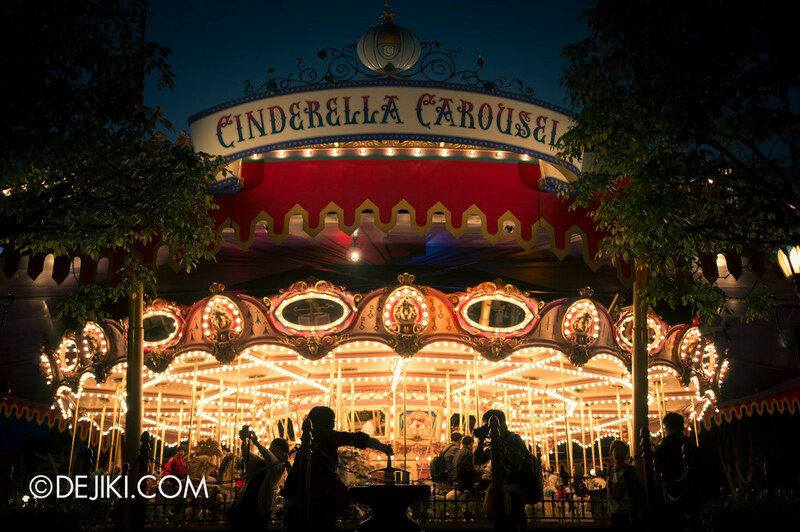 In the evening, Cinderella Carousel becomes a dazzling sight. 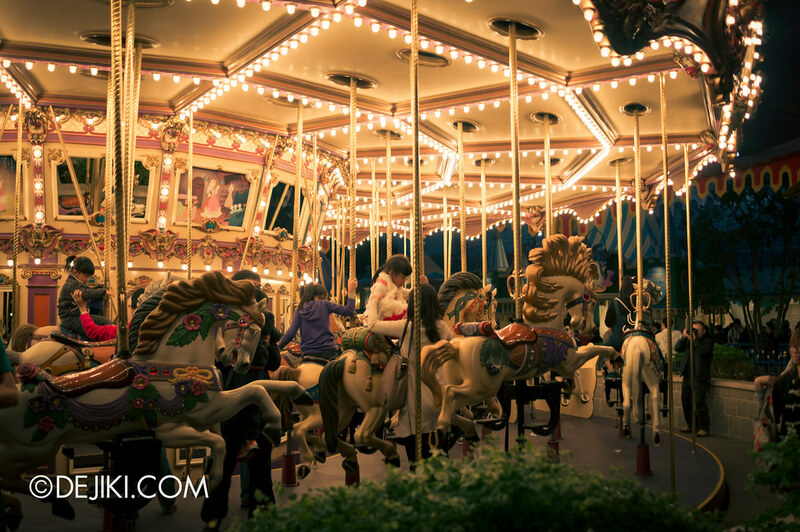 Wait times are long for this short carousel ride, and it’s often more fascinating to just stand outside to watch. 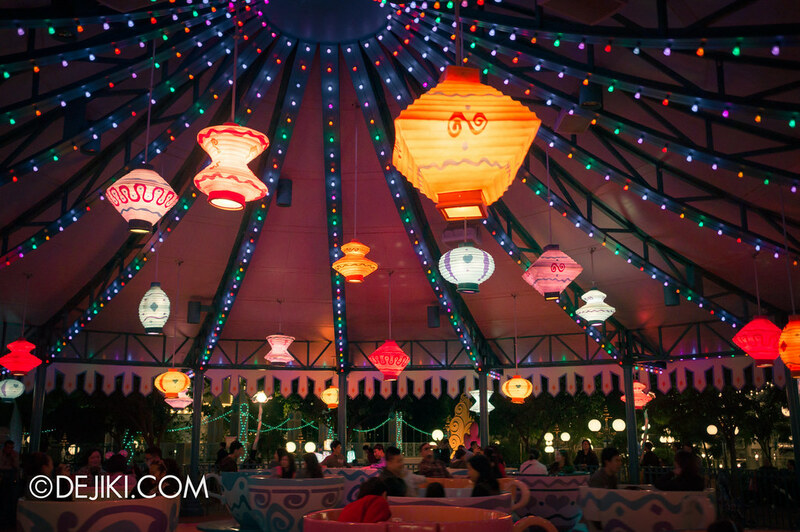 The same goes for Mad Hatter Tea Cups. It’s more fun to watch. 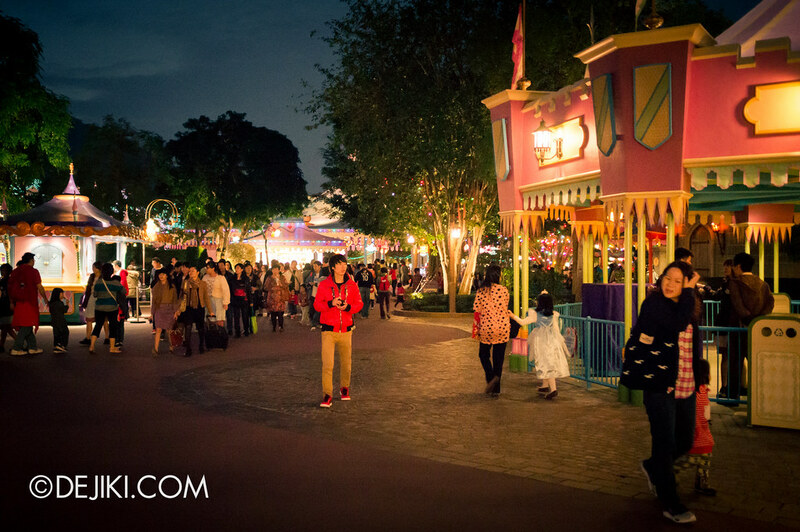 So Fantasyland became more of a beautiful place to walk past this year, as we needed to transit through Toy Story Land and the Castle Hub quickly. 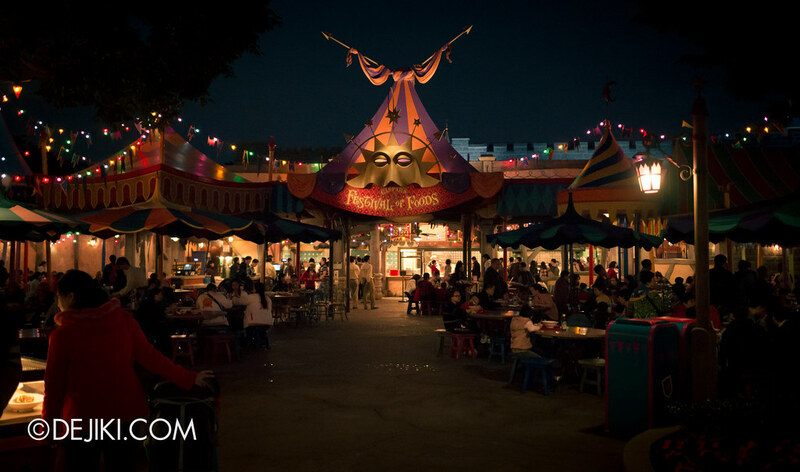 With the gentle carnival reinterpretations of Disney’s classic soundtrack, colourful tents and never-ending strings of light, it does bring about the sights and sounds of a fair from far away. Well I love the show Golden Mickeys, especially the Mulan sequence. 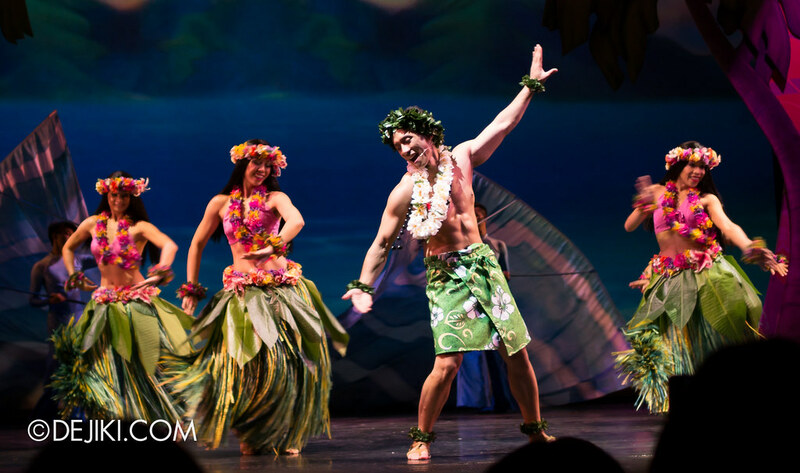 It is a shame that they did not perform my favorite song “Part of Your World” from Little Mermaid. 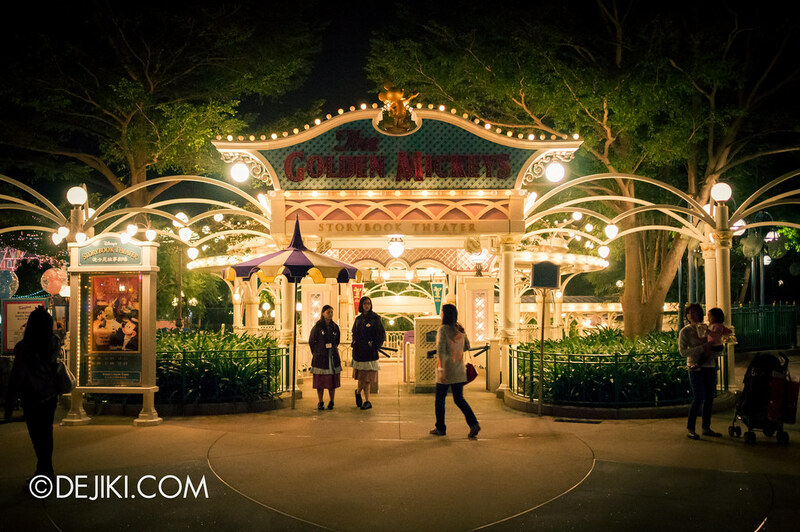 The Many Adventures of Winnie the Pooh is the Very FIRST attraction I rode in Disneyland, so I have a very special connection with it. I urged my friends to try it. I guess “Part of Your World” doesn’t quite match up with the other songs. 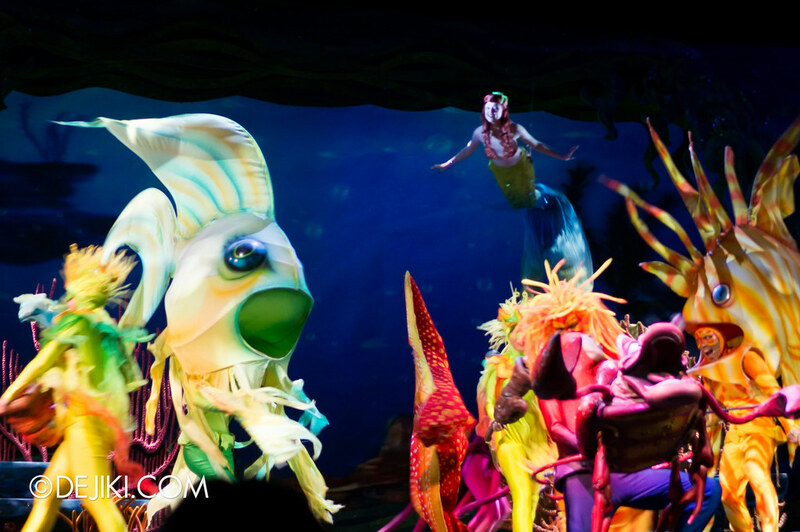 Have you been to Mermaid Lagoon Theater at Tokyo DisneySea? How did your friends feel about The Many Adventures of Winnie The Pooh? It’s great that you still remembered your first ride at a Disney Park. I can’t tell if my first attraction was Star Tours or Space Mountain. They all felt it was great! A story well told! 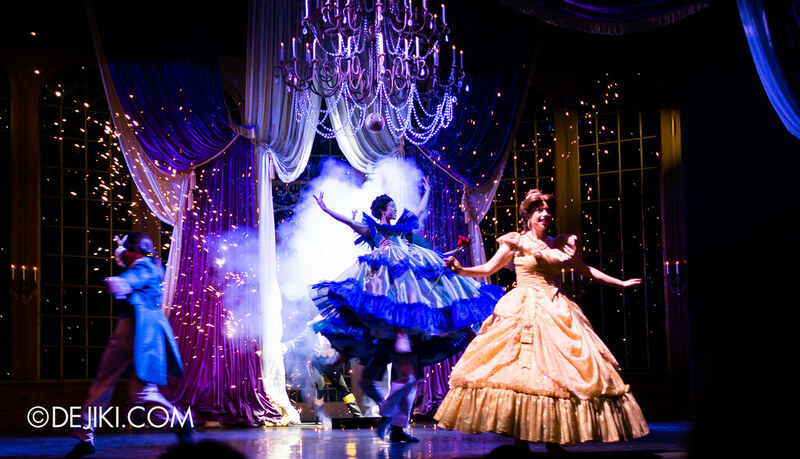 I have been to Mermaid Lagoon Theater and that is where I fell in love with the song! I visited the park in December. 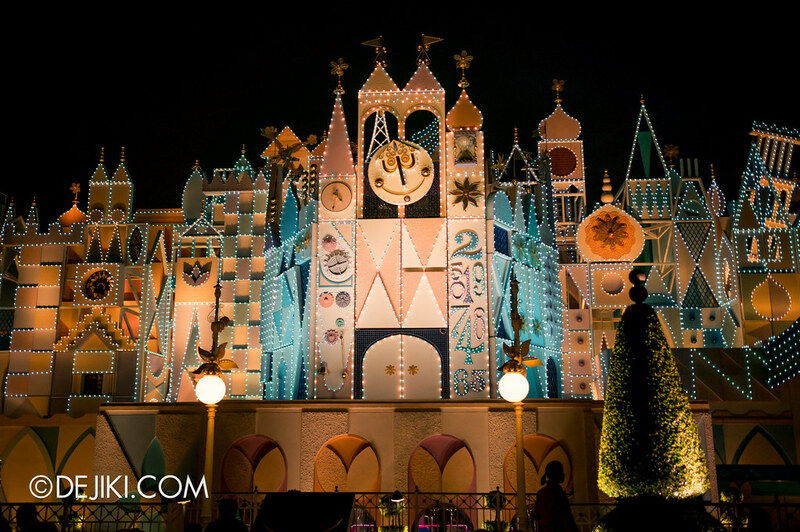 The park had fireworks at 9pm that night, and the park’s attractions were also closed at 9pm (except Fantasyland, which closed earlier).